some Dove and Dove Men+Care deodorants to try. 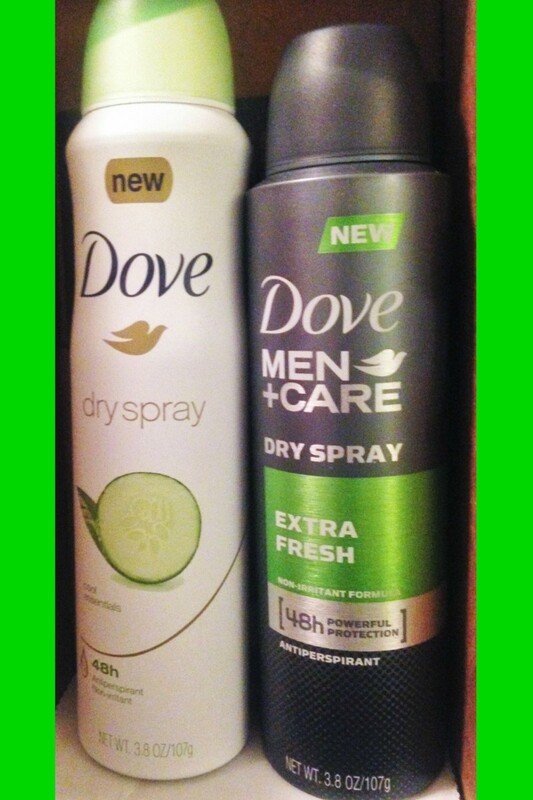 The Men+Care one was a Extra Fresh scent. I asked my boyfriend what he thought of it but of course he really didn't give an in depth view on it. He liked that it was easy to take with him with traveling. He also like that unlike the stick ones that if you drop the bottle, there is not a risk of breaking the deodorant itself and their is no clean up. The overall verdict is that we would by both of these. We have had them for over an month and there is still a good amount left in both. I usually buy deodorant based on my skin since it is so sensitive. With this deodorant, I have not had any skin issues so I say it is definitely worth trying regardless of you skin type. I received this product for reviewing purposes. This is my own personal opinion of the product.